IRA FLATOW, host: This is SCIENCE FRIDAY. I’m Ira Flatow. The Gulf of Mexico just can’t seem to catch a break. 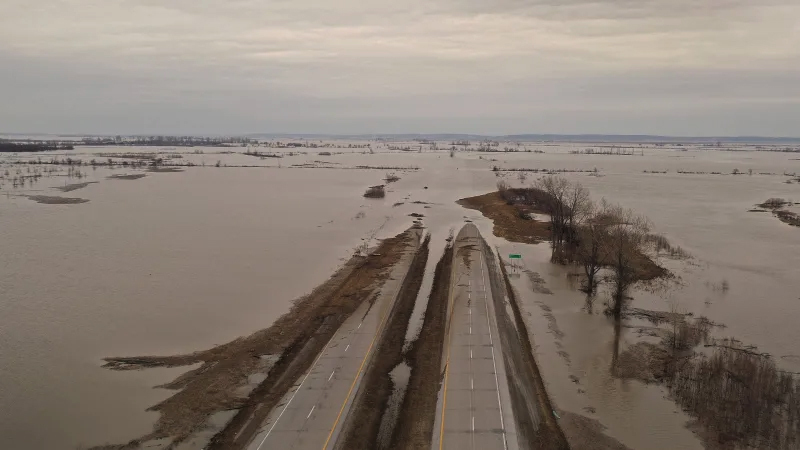 Following the damage wrought by the Deepwater Horizon spill last year, this spring brought flooding all along the Mississippi River Basin, and as you know, that water eventually flows to the Gulf, Along with all the runoff, the garbage, whatever gets collected along the way. 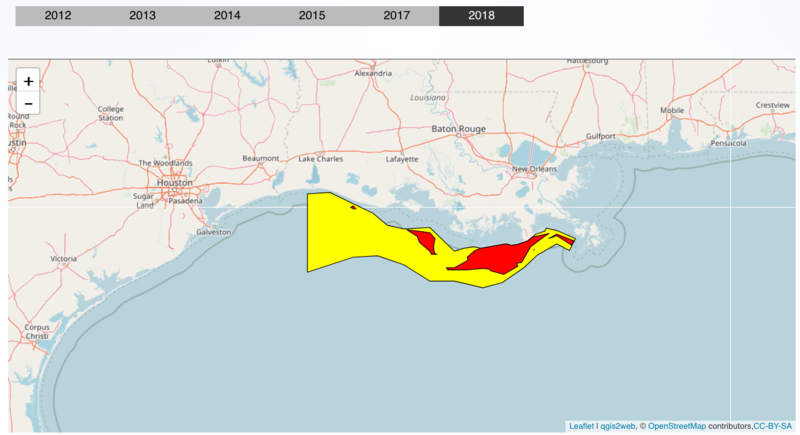 So we can add a forecast this summer that the dead zone in the Gulf will be bigger than ever this year. Joining me to talk about is Nancy Rabalais, she is the director Louisiana Universities Marine Consortium. And among other things, she studies hypoxia in the Gulf. In more colloquial terms, she studies the Gulf’s dead zone. Welcome back to the program. NANCY RABALAIS: Hello, Ira, nice – good afternoon, nice to be back. It seems you only call me on disasters. FLATOW: I’m sorry. I feel bad. But you are an expert in the Gulf, right, and that seems to be where a lot of disasters are happening. FLATOW: Tell us about what the dead zone is. 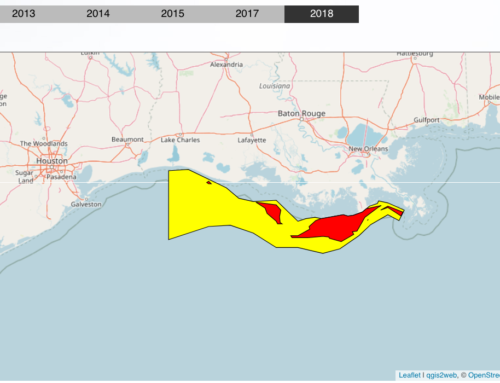 RABALAIS: The dead zone is an area in the Gulf, a large area, especially large this year, where there’s not enough oxygen in the bottom for fish and shrimp and crabs to survive. So if they can swim, they’ll swim out of the way, but otherwise things that are stuck will suffocate and die. So it’s just – it’s a large area where you just can’t catch anything. FLATOW: Wow, and how big an area, this year, are we talking about? RABALAIS: The prediction for this year is anywhere between 9,000 and 10,000 square miles, which is larger than we’ve ever had before, which was 8,500 square miles. So, in geography, it’s about the size of New Jersey and Delaware combined, the state of Maryland if you don’t count Chesapeake Bay, and for landlubbers, it’s more like Lake Eerie. FLATOW: Wow, wow. Is it because of all the flooding that we’ve had into the Mississippi this year? RABALAIS: Absolutely. The river controls the physics and the biology of the Gulf of Mexico. And this one is, of course, a huge event, the largest discharge for a long, long time; the largest nitrate load for a long, long time. And all that combines to create the physical characteristics of the area, plus the nitrates are what start the whole thing off. FLATOW: What whole thing? Tell us about the cycle that happens. RABALAIS: Well, the nutrients, primarily the nitrate, is the issue. 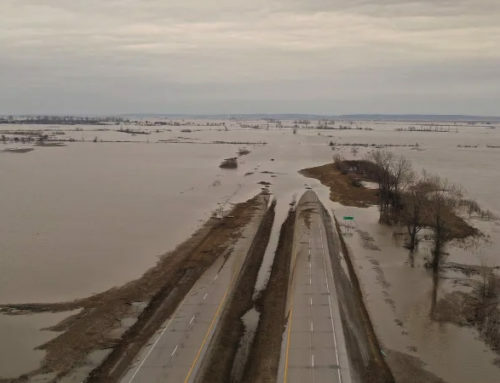 And they come in the spring, and we’ve been getting more and more of them, of course, this spring, as everybody else has their land flooded and their homes and businesses flooded. We’re getting this extra boost of nitrogen into the Gulf. It makes the single-celled plants, called phytoplankton, it makes them grow so much better, and not all of that is eaten by the food web, by the zooplankton. So a lot of it gets to the bottom, and once it gets to the bottom, bacteria eat it up – just like the bacteria ate up many of the hydrocarbons in the BP oil spill. The bacteria will do the same thing to this carbon in the areas below oxygen. FLATOW: And this is a forecast, and I know with a weather report, we’ve learned never to really trust the forecast until it’s happening. 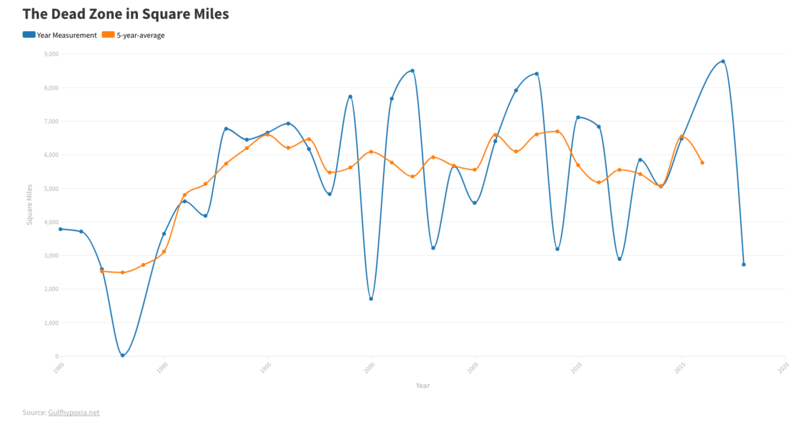 RABALAIS: Well, this model that uses the amount of nitrate that comes in May explains about 70 to 80 percent of the variability in the size over the last 15 – well, 27 years now. So it’s a pretty robust model, but we could have different weather patterns. We could have – hopefully not, but we could have a hurricane come through and mix it up before we go out to measure it. A hurricane, of course, is just a temporary fix because it’ll set back up again. FLATOW: So how long will this last, this dead zone? RABALAIS: Well, we’ve already seen it earlier this year. We had a peak in the river in March, and we’ve had it from March through last week. 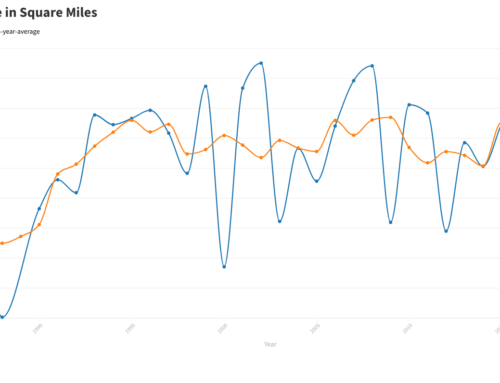 We’ve already had it at many of our stations, and some of our regular stations that we go to last week were very, very low, not just low but close to zero. FLATOW: Wow, so that means in this zone, there are no shrimp, there are no fish. RABALAIS: That’s right. Now, there’s oxygen at the surface. 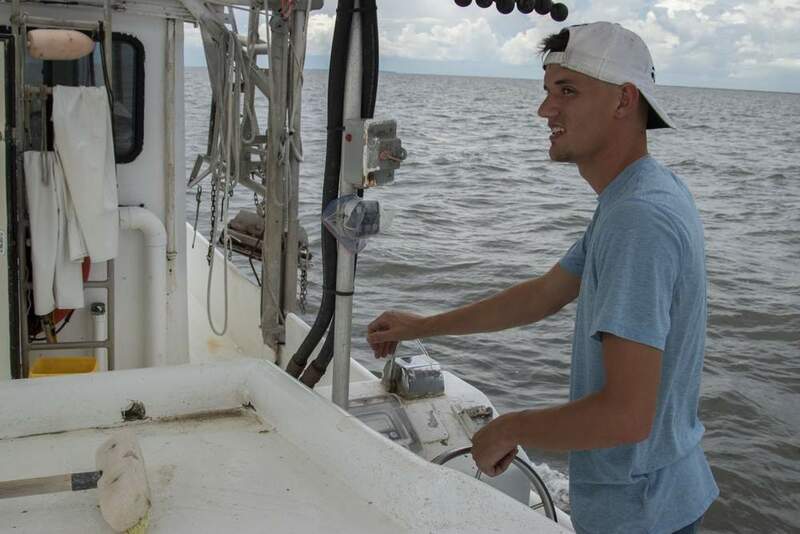 So there’s fish at the surface, but the trawling industry, the brown shrimp, white shrimp industry in Louisiana of course depends on the bottom. So a trawler puts a net over when the oxygen’s below two. They just won’t catch anything. FLATOW: That is not good news. 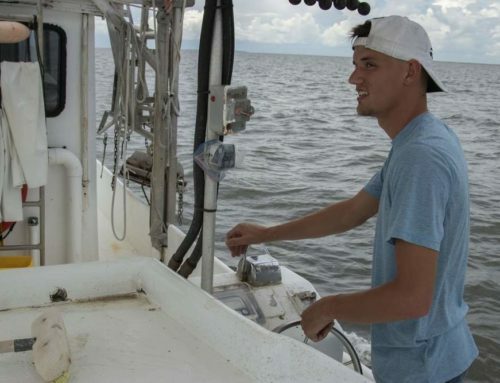 RABALAIS: No, it’s not, and this is – as you mentioned, it’s just another insult to the Gulf of Mexico following the disaster from the oil spill and now this, and fishers weren’t able to fish last year, and oysters have been cut back by the freshwater this year, and there’s a large area offshore where you can’t catch shrimp. So it is a continuing unfortunate saga that we’re going through. FLATOW: You know, you began our interview, our conversation, by saying you always talk to me only when there are bad things. RABALAIS: Right, the last one was the oil spill. 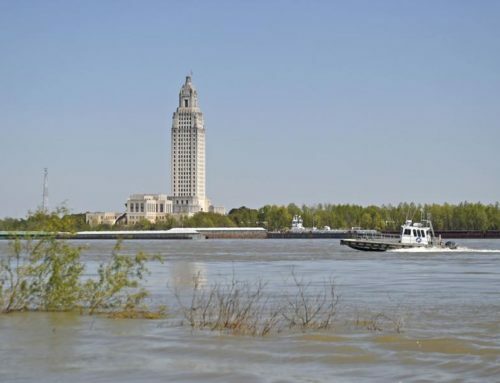 RABALAIS: Well, the good news is that we do have fairly resilient ecosystems, and we do continue to have fish and shrimp, despite everything that we do to the system. So that’s the good news. And the river is very important with regard to all of that because it brings the nutrients that we need to fuel the food web and get the fisheries, but we just have too much, and too much means we need to try to reduce that. FLATOW: Let’s see if I can get a call in or two. Let’s go to Jim(ph) in Sacramento. Hi, Jim. JIM: Has anybody considered the possibility of injecting huge quantities of oxygen into the water to ameliorate the dead zone? FLATOW: You mean like the bubblers you see in lakes and things like that? RABALAIS: Right. Well, people have suggested that with powering down air or using water circulation processes, but when you consider that this low oxygen spans from the Mississippi River from New Orleans all the way over to Galveston, Texas, that’s a big aquarium, and you need a lot of air stones. And it just really physically cannot help. RABALAIS: Well, the solution is upriver. The solution is to curb the nutrients, the nitrogen upriver through best management practices, better wastewater treatment. The types of cars that people drive, even affect it because you get exhaust fumes, and it comes back down as nitrates. So there are lot of things people can do. But the primary – I don’t want to say culprit, but the primary source is from agricultural activities. RABALAIS: Yeah, fertilizers, and this year with all the extra water and more and more soil and dissolved nitrogen coming off the land, it can’t help but create a larger low-oxygen zone. FLATOW: Does animal waste have anything to do with the runoff? RABALAIS: Not – oh, you mean like confined animal feed operations? Definitely, that’s one of the sources of nitrogen and phosphorous, yeah. That’s part of the issue, as well. FLATOW: Well, Nancy, I want to thank you, you know, I guess. RABALAIS: Well, you’re very welcome. But, you know, if I have a – if I have good news, I’m going to call you. FLATOW: You have our number. FLATOW: All right, thanks so much. Have a good weekend. RABALAIS: All right, thank you, bye. FLATOW: Nancy Rabalais is the director of the Louisiana Universities Marine Consortium in Chauvin, Louisiana. And back with bad news about the dead zone in the Gulf this hour.